For those of us who love playing them it is great news to hear that board games are undergoing an astonishing revival. Although still fun to play at home around a winter fire or on a rainy summer evening, board games are now available to play outside in parks and in the many board game cafes that have sprung up across our cities. 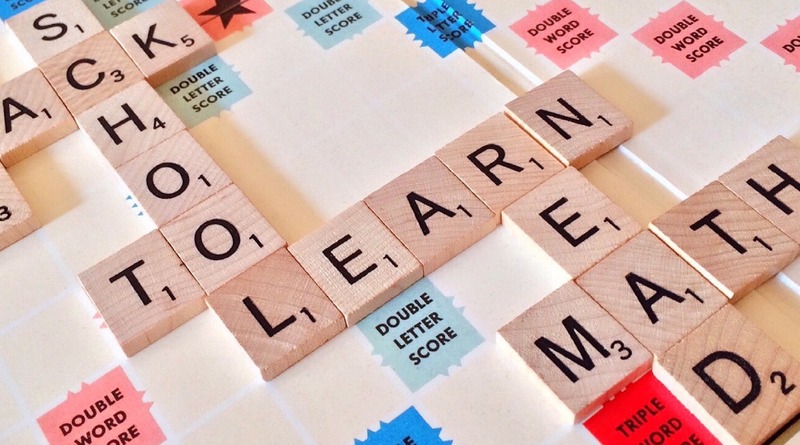 Board games are not only good for your social skills, brain development and problem solving abilities but are also a great way to help you learn another language. 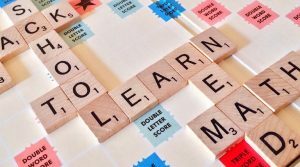 We look at six board games that can help you to learn English. Scrabble was first manufactured in the 1940s and has been one of the world’s most popular board games ever since. Available in 29 languages and played across the world, it is estimated that half of all British households have a Scrabble set. Scrabble is played by laying tiles marked with letters onto a board to add words in a crossword style grid. The great thing about it is that it can be played at all levels of English vocabulary and with a variety of aids such as dictionaries and word sheets. You can even play themed Scrabble (pick a broad theme, for example ‘shopping’) and bi-lingual Scrabble (you will need a dictionary for each language). Scattergories is a great way to practise vocabulary that you already know. Players receive a list of 10 categories (for example ‘animals’) and a 26-sided dice is rolled to give the initial letter for words played in that round. Players then have to think of clever and, if possible, unusual words that begin with that letter and fit each category. Points are only scored if players have come up with unique suggestions. For example if the letter ‘c’ was rolled and the categories ‘animal’, ‘transport’ and ‘place’ given, a player might choose ‘cat’, ‘car and ‘Cape Coral’. The first two choices are less likely to earn points because they are common words but ‘Cape Coral’ is an unusual choice and is more likely to earn a point because nobody else will have thought of it. If your English vocabulary is already good Scattergories can be made more complicated by adding additional scores for alliteration. In our example ‘Cape Coral’ would have won 2 points because both of the words begin with the chosen letter ‘c’. 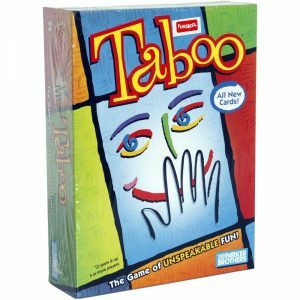 Taboo focuses on descriptions and adjectives; winning it depends on your ability to find alternative words with similar meanings. Players are given a word and must describe it (in English) to their team. This sounds easy but players are also given a list of words that they must not use in the description. For example if the word was ‘teacher’ a player might be forbidden to use the words ‘student’ and ‘school’ in their description. The key to winning at Taboo is creativity. You need to be able to think about what you would like to say and form different sentences to achieve the same goal. Great fun for teamwork and for making your English vocabulary work outside the box. Monopoly is not a word game but it is very popular in English households despite it originally being an American invention. Designed to teach people about the economy, Monopoly involves players moving pieces around a board, making property purchases as they go. The English version of Monopoly is great if you are planning to visit London as it will encourage to you think about place names and maybe even help you to plan your trip. 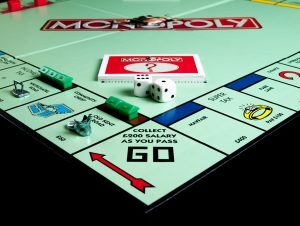 Whilst some of the language used in Monopoly is a bit old fashioned and Americanised, the discussions that evolve from buying and selling assets are a great way of rehearsing basic business-type vocabulary. Be warned however, Monopoly games are renowned for two things: lasting for a very long time and being far more fun if you are winning. 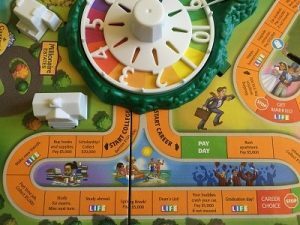 The Game of Life has been around in different forms since 1860 and takes the players through different stages of their life including education, employment, relationships and children. In the modern version players move around the board in small cars encountering problems, successes and financial issues on the way. The Game of Life is particularly good for learning how to speak in different verb tenses, particularly future tenses. It also creates discussion around some key vocabulary areas and will encourage you to think about your future in English rather than your own language. 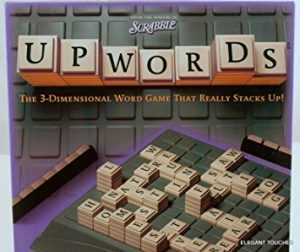 Upwords is very similar to Scrabble but takes word development a step further by allowing the replacement of existing letters with new ones. For example if the word ‘bike’ is already on the board a player could replace the ‘i’ with an ‘a’ to make ‘bake’. Upwords is great for general vocabulary and to get you used to using an English dictionary but will also help you to recognise patterns in English spelling. Many people choose to use the Oxford English Dictionary for vocabulary help during Scrabble games. Find out which new and exciting English words were added to the OED in September 2016. Another great and relaxing way to learn the English language is to read books in English. We have six easy to read book suggestions to get you started.